Researchers at San Jose State have a theory that could explain the wind-driven explosive growth of the Valley Fire, and as strange as it sounds it's ... a hurricane. 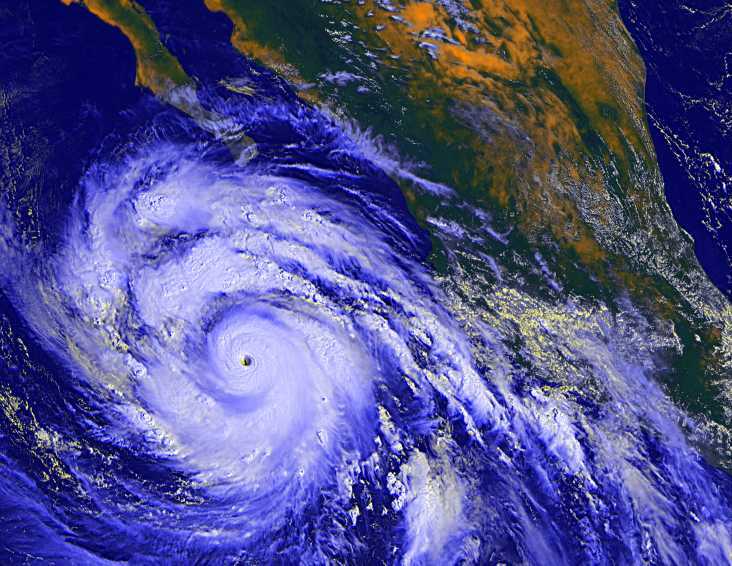 Strengthening El Niño conditions have spawned an active Pacific hurricane season. Just as the Valley Fire was getting started, a dying hurricane named Linda was still pumping moist air into the upper atmosphere, well north along the California coast. "And it's really the mixture of those two air masses -- the moist air aloft and the really dry air near the surface -- that led to the development of these winds," says Neil Lareau, a researcher at the university's Fire Weather Research Lab and co-author of the article appearing on the lab's website. "Cooler air is actually denser than warmer air," he explains. "So when you cool the air, it tends to sink towards the surface, and it also tends to develop higher pressure." That high pressure building just off the coast created a "burst of northwest winds" that bedeviled firefighters with 35 mph gusts. The rain that never made it to the ground (known as virga) in the fire zone actually made matters worse, in Lareau's analysis. Evaporating raindrops rapidly cooled the upper-level air, which created a downdraft that increased winds locally. While Lareau's article is not based on any formal peer-reviewed study, he writes that there is "clear evidence that tropical moisture contributed to enhanced northwest winds that propelled the fire." When the fire was in its most explosive growth phase, fire officials marveled at how the blaze seemed to leapfrog attempts to subdue it. “The fire would throw embers a half-mile beyond where firefighters were working," said Cal Fire spokesman Daniel Berlant. Lareau has an explanation for that, too. He says the same bizarre set of meteorological conditions caused the usual upward column of hot air to tilt. "And then all of those embers that would've been going straight up in the plume get ejected out in front of the initial fire," explains Lareau, "causing new fires to form in this kind of hopscotch fire growth across the landscape." Lareau says it's hard to tell what implications this has for the remaining fire season. The likelihood of similar events might depend on what other storms are spun out of the tropical Pacific by El Niño.